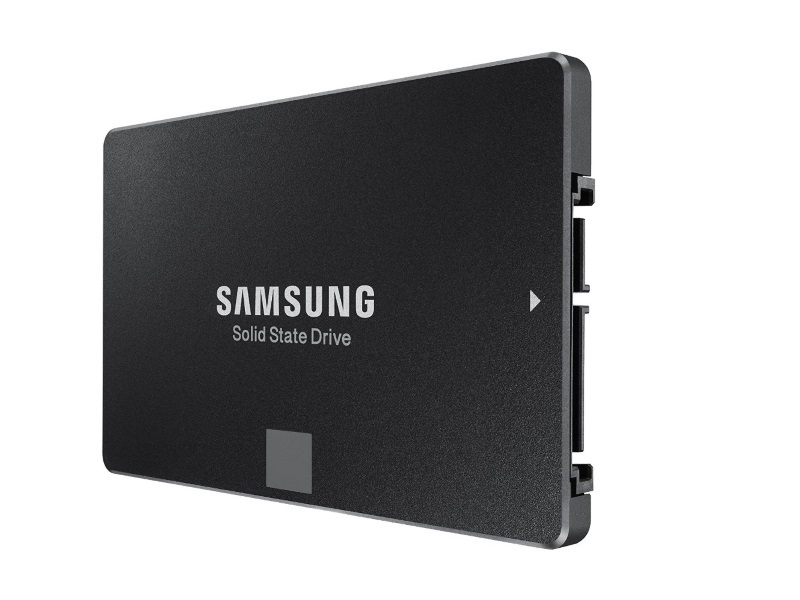 Samsung on Monday launched a 4TB solid-state drive in its 850 Evo lineup. The new addition is now the biggest storage option available in the series and will set you back by around $1,500 (roughly Rs. 1 lakh). The Samsung 4TB 850 Evo SSD’s sequential read and write speeds are capped at 540MB/s and 520MB/s, respectively. The new storage drive is powered by Samsung V-NAND Technology with 48 layers, and AnandTech reports that it features the same write endurance rating as the 2TB variant, at 300TB, though it appears Samsung is being conservative. Solid-state drives are unanimously regarded as much superior to the hard disk drives that most consumers use for their storage needs. They have lower latency as well as access times. They are also considered to be more resistant to physical shocks than hard disk drives as there are no moving parts inside solid-state drives. However, the only thing that prevents everyone from getting an SSD is that they cost much more in comparison to an HDD. As of now, SSDs are only for enthusiasts with deep pockets who can afford the prices for their storage needs. The prices have come down over a period of time and might soon come into a range where it can be afforded by regular users for their personal storage needs. As of now, 4TB of storage provided by Samsung seems more than sufficient for you to transfer your HD movies, music, and entire game library. In other terms, it can easily substitute your hard drive with this, though of course, the cost still remains forbidding. The company also offers a 2TB option that is available for around Rs. 65,000 on Amazon India. In 2015,the company announced the world’s largest SSD with 16TB storage, meant for data centres.